I just picked up my new N. Getting the windows tinted tomorrow, and new wheels next week. I want to sell these wheels and tires, but I'm not sure how much to even ask. Any thoughts? jkt1954, Energized, lil_buddy and 3 others like this. Welcome, CarwashNinja! Nice looking N! Really? Replacing the wheels? They look pretty nice! To each his own -- can't wait to see before and after pics of the replacements! Where are you located and how much would you want for them? Are those 18's or 19's? and yeah, where and how much? Nice car ! 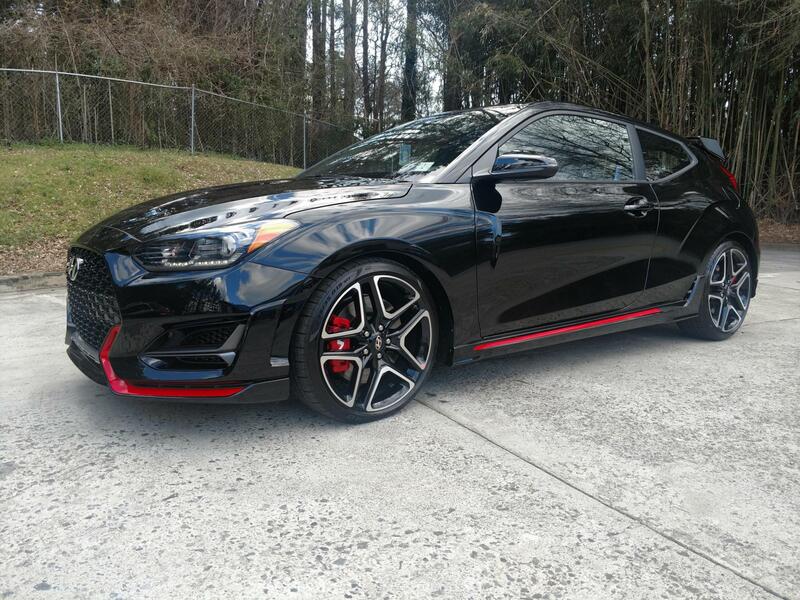 I bought the r spec a couple months ago.Now i see there a N available near me.Wish i waited.Cant stop thinking about it. Its the blue one too.. I'm taking offers on the wheels and tires. Dealership price for the whole setup is about $3,000. Obviously I wouldn't ask that much, but I'm fielding offers. I'm in the Atlanta area. I could not find a single set of 19-inch rims that I liked. I must have looked at thousands of them, and just did not see anything that I really liked. 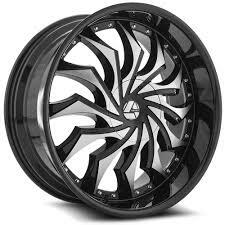 So because of that, I am going up to 20 inch rims. This is what I'm going to put on it. What are you asking for the wheels and tires? Send me a PM if you'd like. You can't send a PM yet until you reach a 30 post count. So just post it here if you will. 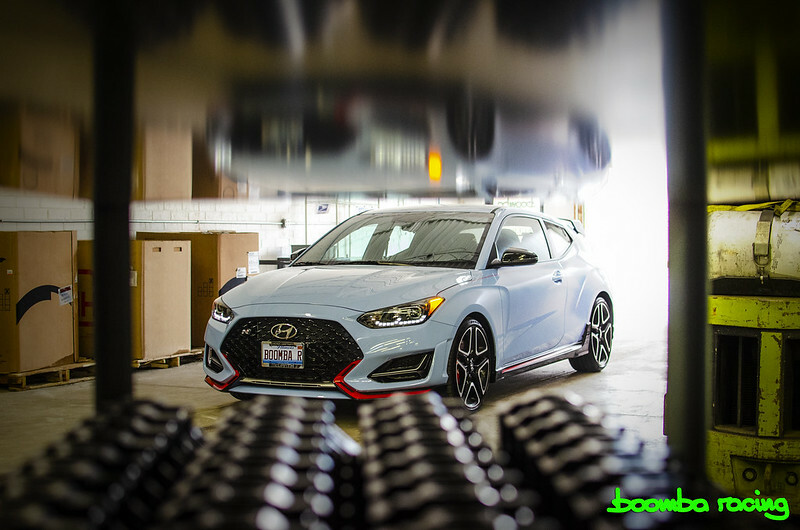 Last edited by J Veloster N; 03-24-2019 at 12:59 PM. I was hoping to get $2,000. It's such a new market for them, I don't really know what I could get. I also looked through that link and didn't see anything I liked. They all look basically the same to me. That's why I wanted something different. The more you look the more they all start to look alike. You could just change the wheels to be solid black. I wouldn't sell them. You can spend that money doing actual modifications that matter. If you want a different look, just have them painted. I could paint them myself. 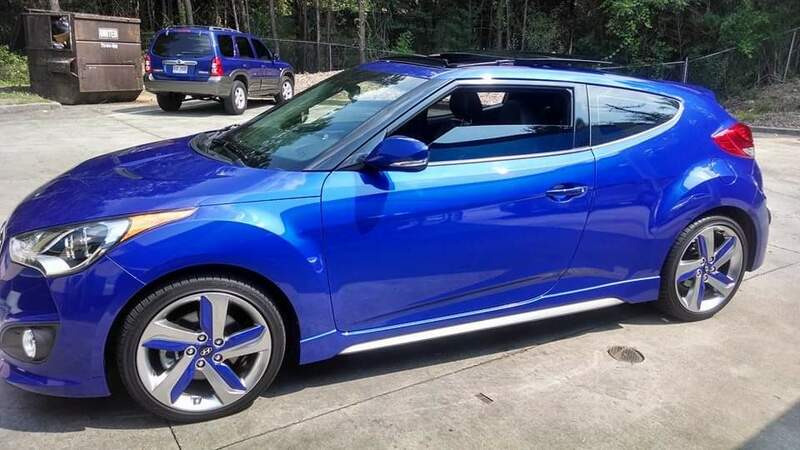 I did my last Veloster, check the picture. I just don't like the shape of the current wheels. I'll post a picture of the new wheels after installing them tomorrow. Welcome to the forum, we're working on some goodies for the N right now! I Got Mine Today: Vitamin C is the Hot!